Halloween weekend is almost over and we’re now getting into some seriously creepy brews as the big day approaches! This one was another surprise pickup by my wife. Description: Touted as a blend of rich malts and huge hops, the brewers promise a bold, rich, and balanced taste from this red IPA. On a side note, I wish I had come across more from this brewery. Looking down that beer list in the link I see they really mean it when they say “don’t drink ordinary beer.” Keeping an eye out for these guys next Halloween season for sure. Appearance: Deep red body that had a haunting blood-red glow when held up to the light. A thin layer of tan foam lingered across the top. Smell: Sweet caramel malt joined with resinous pine sap. Taste: Pretty much as advertised by the smell. A smooth caramel sweetness at the start was soon followed by a dank, resinous pine sap bitterness that carried through to the end. The finish was a nice combination of both flavors, leaving lingering tastes of piney hops and a caramel/brown sugar/candy sweetness. Mouthfeel: Creamy, medium-plus body accompanied by a moderate amount of carbonation. Hype: I love my hoppy red ales, but I can’t say that I’d ever heard of this beer or brewery before trying this out. Overall: I really, really liked this. 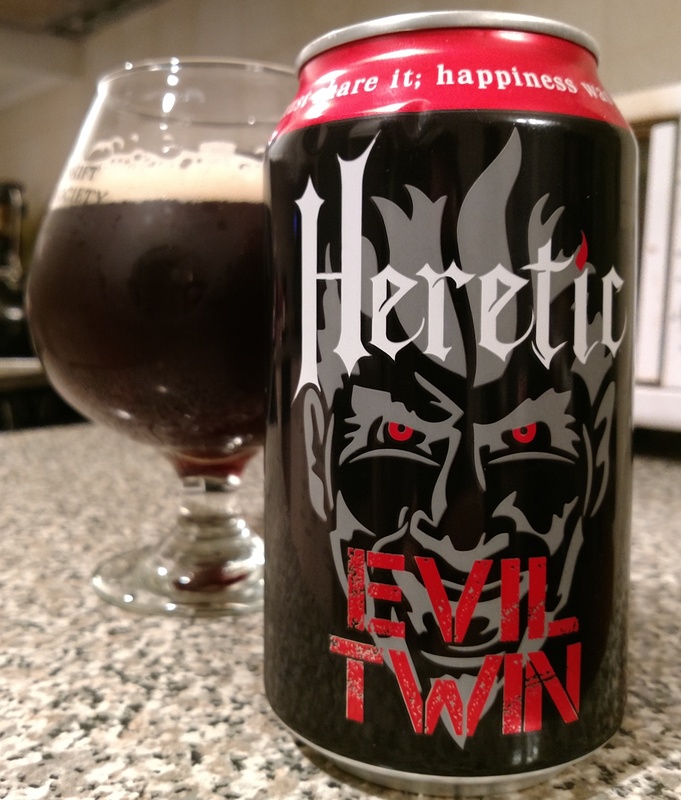 With its aggressive (but not too aggressive) bitterness and equally balanced sweet caramel and malt backbone, this beer provided exactly what I was looking for in the style. Really looking forward to working my way through the rest of the six-pack.